‘To try to narrow the Munros down to one favourite is difficult, as you can well imagine with so manyof them. I tend to like stand-alone mountains in dramatic settings, hence Beinn Sgritheall at Loch Hourn, with views to Knoydart and Skye is a favourite, never mind the journey to get there. Also, Ben Hope at the top of Scotland, with it’s amazing views of the surrounding countryside, is another favourite. However, if I had to nail it to one Munro, it would be just up the road with good old Ben Lomond, that sits over my most favourite Loch. With fantastic views all round, and over the islands, it’s the accessibility that is great, less than an hour drive from Glasgow. It’s easy to nick out on amid-week jaunt after work on a balmy summer’s evening, like I did back in August 1995, and having the summit to myself, done my Billy Connolly at the Callanish stones bit, by jigging around the trig pillar in thebuff, as the sun set. 19 years ago, Charlie Campbell broke the existing world-record when he climbed all of Scotland’s 284 Munros in 49 days–that’s an average of 6 Munros per day! 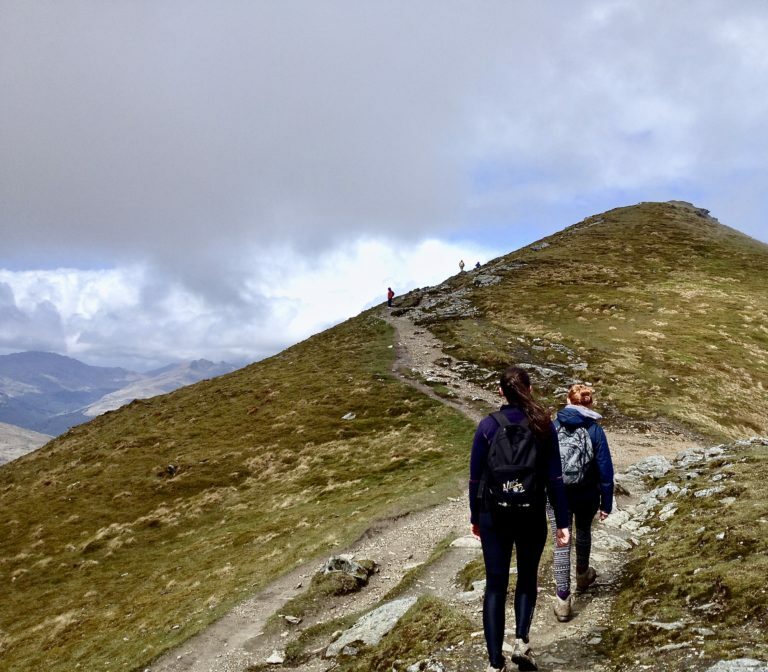 The unbelievable true story is described in Millenial Munros, an inspirational book with maps and routes to help you discover these beautiful Munros yourself! Purchase the book on our website here, or on Amazon. 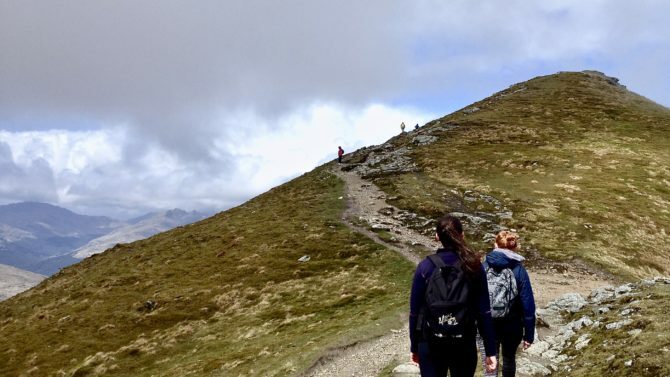 If you want to find out more about Munro ‘bagging’, where you aim to climb all Munros listed by the Scottish Mountaineering Club, check out Visit Scotland’s website here. Article by Lara Sindelar, Ringwood’s Managing Director.